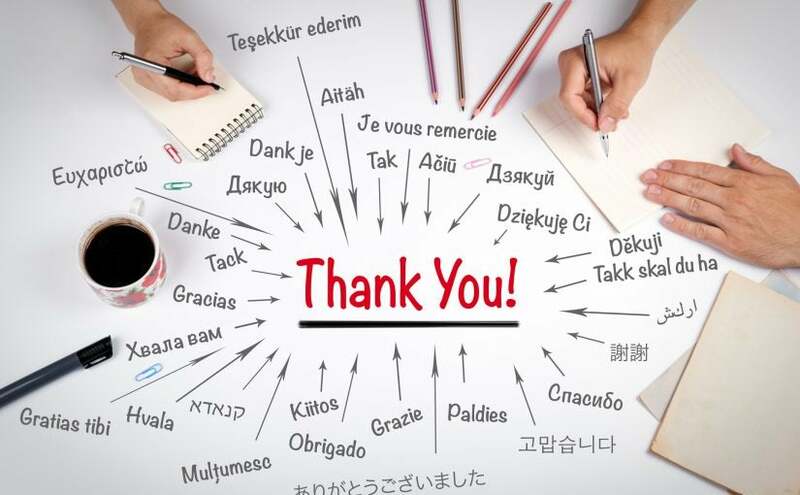 Why does saying thank you in business matter? Far too often, opportunities to demonstrate gratitude or give thanks get tossed aside, only to be replaced by automation in the name of “efficiency”. Is generosity not considered a revenue-generating activity? I’d argue that it absolutely is. I recently took my 5 year old daughter trick or treating. The first couple houses we approached, I noticed she wasn’t saying “Trick or Treat” after she rang the doorbell. In fact, she wasn’t saying anything at all, she just stuck out her purple pumpkin basket and waited for someone to drop some candy inside. Total rookie mistake. I kept reminding her to say it but to no avail. But after every candy deposit received she always said thank you. That made me proud. I couldn’t get her to say “Trick or Treat” despite numerous reminders, but every time she received something from someone she said thank you. It didn’t require a reminder or thought. It was completely automatic and authentic. She’s got the gratitude thing down pat. Listening skills might need some work. There are a bunch of sales “guru’s” who will tell you this in no longer true. The Nice Guy/Gal Finish Last theory in sales makes for a catchy blog title but is doesn’t hold water. Just being a nice person isn’t going to make you a great sales person. Being a great salesperson makes you a great salesperson. All things equal, the nice salesperson beats the sales robot every time. University of North Carolina Psychologist Sara Algoe advocates expressing thanks for the “Find, Remind, and Bind” aspect of expressing gratitude. According to her theory, “Gratitude starts new friendships (find), orients people to existing social relationships (remind), and promotes existing relationships (bind).” It’s an idea worth keeping in mind as you work to “find, remind and bind” with customers and partners. Showing gratitude and saying thanks in business isn’t as standardized as you might think. Thoughtful demonstrations of gratitude and thanks can really stand out and make a lasting impression. When used intelligently, a culture of gratitude can provide a distinct and measurable competitive advantage for your business. How would you rate the culture of gratitude at your business? Do you have standardized processes to ensure it’s always top of mind? Look around your industry, who are the companies that are known to give back? Are you one of them? If not, make it a priority in 2019. You’ll be thankful you did. If you’re looking for unique ways to send Thank You gifts to your customers, clients or anyone else check out all the options we offer for Corporate Gifts!